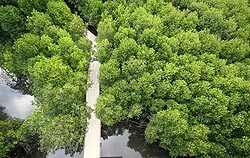 Australia has the third largest area of mangroves in the world after Indonesia and Brazil, totalling around 11,500 km2 representing approximately 6.4% of the world’s total mangrove area. 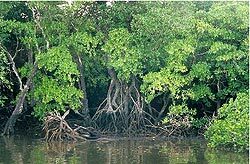 Australian mangrove forests comprise 41 plant species from 19 families, which is approximately half the world's mangrove species. 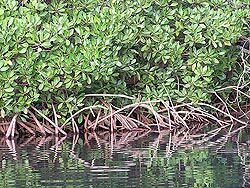 Mangroves grow in all states except Tasmania and in the Northern Territory. 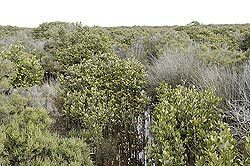 In Victoria and South Australia their distribution is limited and there is only one species - Avicennia marina, the white or grey mangrove.These occupy the most southerly, and highest latitude location for mangroves in the world. In South Australia they are found along sheltered sections of the coast mostly within deep gulfs and inlets. In Victoria they occur along sheltered sections of the coast mostly within broad inlets and coastal lakes. The number of species and the distribution increases the further north they are found. 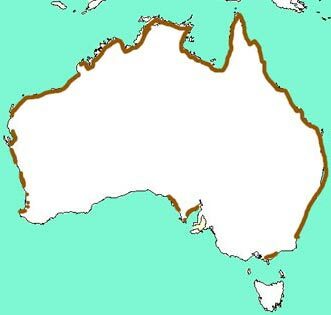 There are 6 species found in New South Wales, 19 species in Western Australia and are scattered throughout most coastal areas, 39 in Queensland and 32 in the Northern Territory. 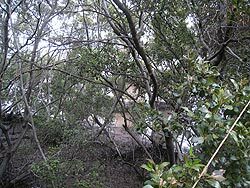 In New South Wales, mangroves are found along the whole coast, within tidal estuaries, coastal lakes and bays. 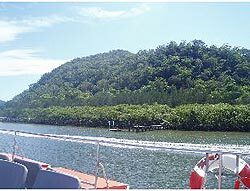 In Queeensland, mangroves cover a diverse range of coastal and estuarine environments, they are found in around 18% of the 13,347 km coastline. In the Northern Territory, they occur naturally in most coastal areas. Only one species, Avicennia integra, is found only in Australia (in the Northern Territory) although there are other rare and uncommon species, hybrids and varieties.. 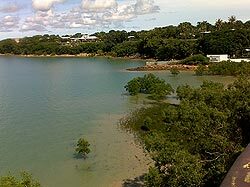 In high rainfall areas of far north Queensland mangroves can grow to 30 metres high. They can form dense, almost impenetrable stands of closed forests, often dominated by only one or two species, as well as less dense stands characterised as open forests and, to a lesser extent, woodlands. New Zealand also has mangrove forests extending to around 38°S (similar to Australia's southernmost distribution).